Hot! That’s what fall is like in Florida. While everyone else gets cool evenings and crunchy fall leaves with gorgeous color, we’re still sweating and pretending it’s summer. I remember the good old days when October meant snow in Minnesota where I grew up. 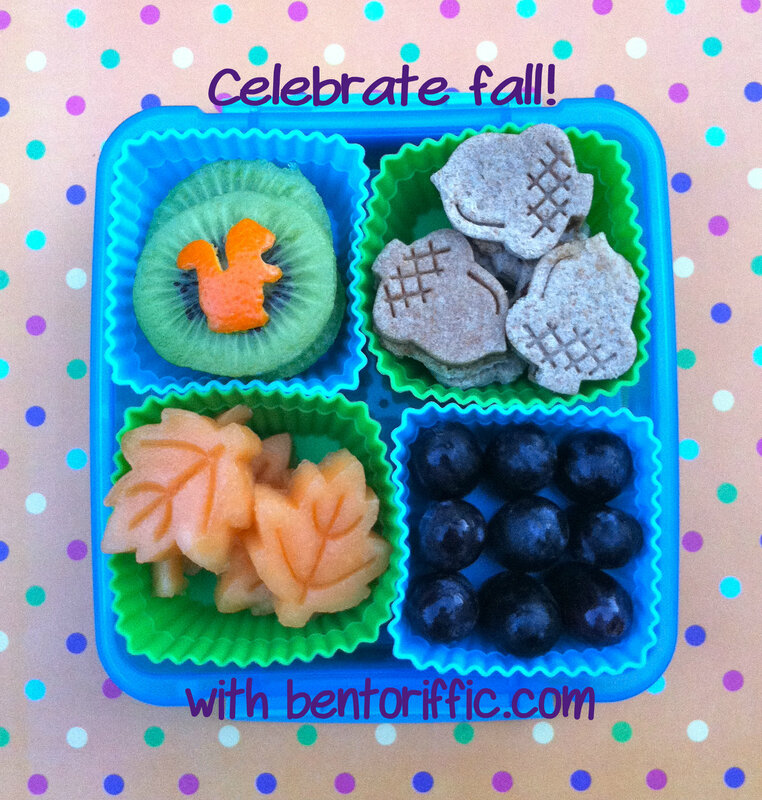 My kids don’t know any better so I made some Florida fall bento lunches. 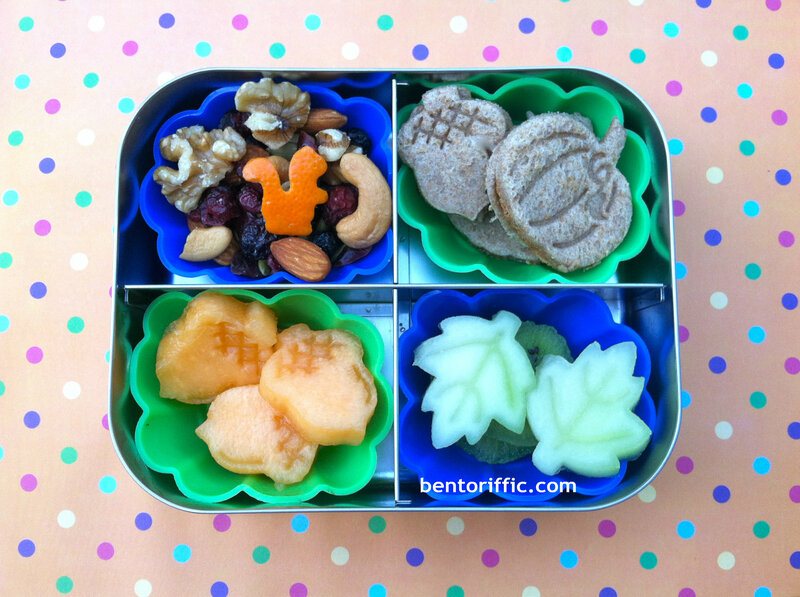 Packed in her sistema brand lunchbox, my 4 year old has kiwi slices with a clementine peel squirrel on top, mini acorn sandwiches, black seedless grapes and orange cantaloupe leaves. 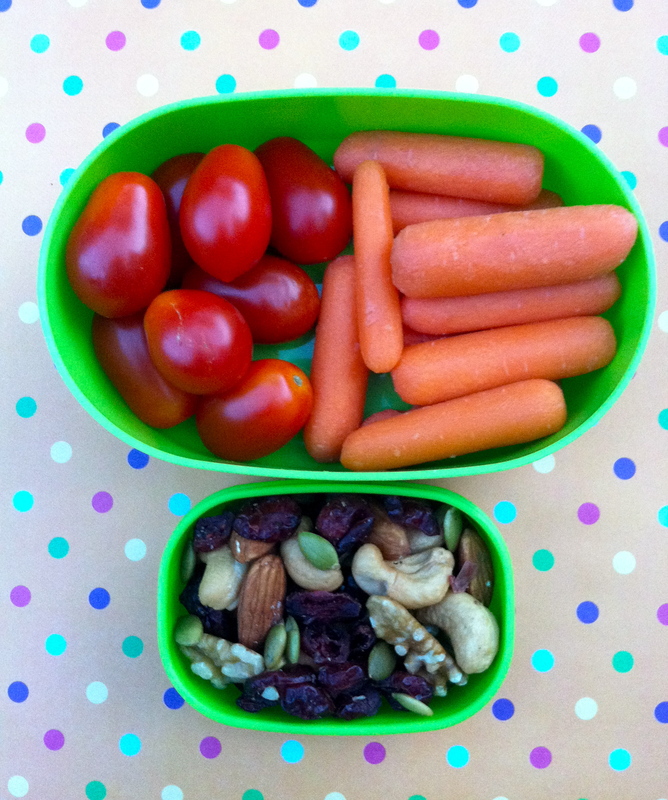 For her snacks today, Miss G has grape tomatoes with mini carrots and in a smaller container she has trail mix with cashews, walnuts, almonds, pumpkin seeds, and dried fruit. I like to change things up between kids so my 2 year old is having the same trail mix with a squirrel cutout for decoration. She also has acorn and pumpkin sandwiches, honeydew leaves and cantaloupe acorns packed in her LunchBots Quad stainless container. 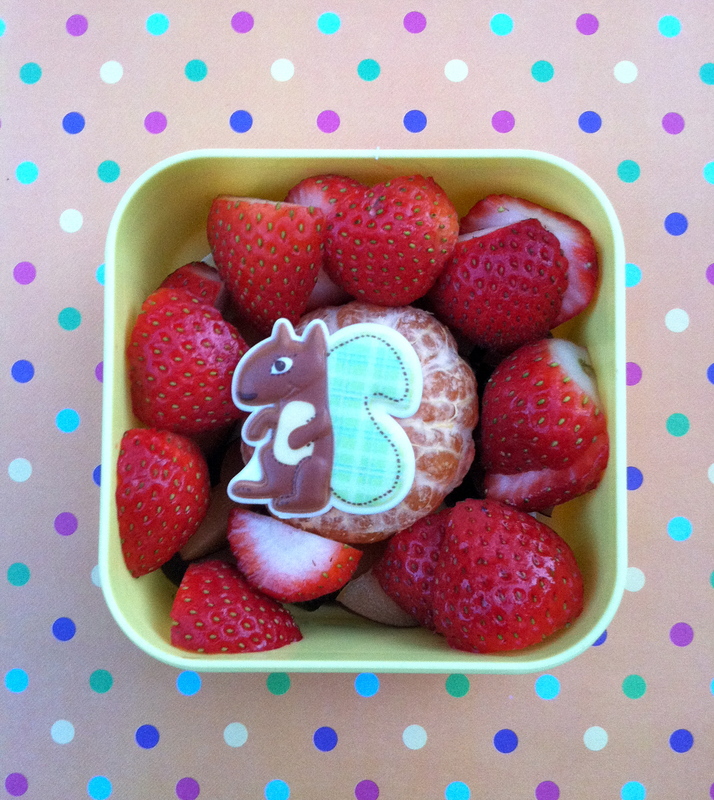 And for the other snack I packed a fall themed squirrel bento with strawberries, plums (underneath) and a peeled clementine orange in the middle. 7 Responses to "Acorns, squirrels and fall leaves"
If you keep this up, our kids will not have any diabetes problems. Great ideas! Thank you! That is my hope!!! 2 | iPackLunch » Blog Archive » Small Details and Leaf Peepin’! Where are the acorn, leaf and pumpkin stamps from? Love those! They are Williams-Sonoma pie pastry cutters!